is the Duncan Black professor of economics and law at George Mason University in Virginia. His award-winning book, The Invisible Hook: The Hidden Economics of Pirates (2009), uses economic reasoning to explain the infamous practices of the Caribbean pirates. His new book, WTF?! An Economic Tour of the Weird (2017), uses economic reasoning to find sense in the world’s most seemingly senseless social practices. Rather easily, it turns out. Suppose you’re a medieval European who’s been accused of stealing your neighbour’s cat. The court thinks you might have committed the theft, but it’s not sure, so it orders you to undergo the ordeal of boiling water. 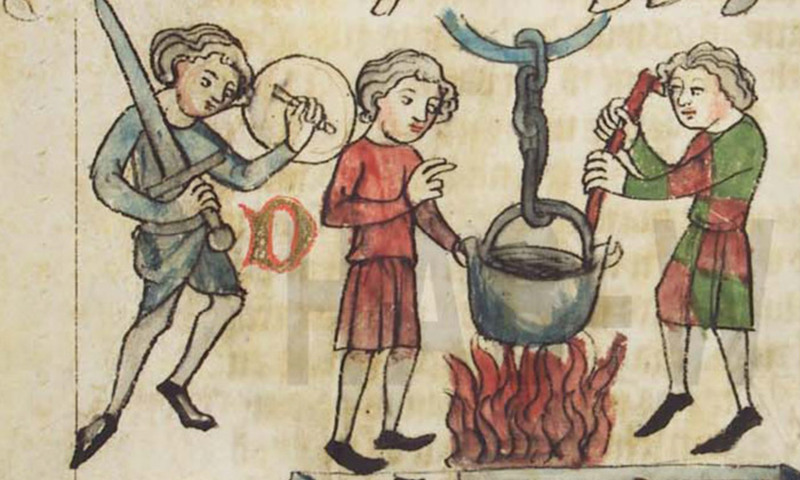 Like other medieval Europeans, you believe in iudicium Dei – that a priest, through the appropriate rituals, can call on God to reveal the truth by performing a miracle that prevents the water from burning you if you’re innocent, letting you burn if you’re not. If you undergo the ordeal and God says you’re guilty, you have to pay a large fine. If He says you’re innocent, you’re cleared of the charge and pay nothing. Alternatively, you can avoid undergoing the ordeal by confessing to having stolen the cat, in which case you pay the fine, a bit reduced for having admitted your guilt. Did you catch the trick? Because of your belief in iudicium Dei, the spectre of the ordeal leads you to choose one way if you’re guilty – confess – and another way if you’re innocent – undergo the ordeal – revealing the truth about your guilt or innocence to the court through the choice you make. By asking God to out you, the legal system incentivises you to out yourself. Pretty nifty indeed.